Indian hockey team’s drag flick expert VR Raghunath and women’s team striker Rani were conferred with the prestigious Arjuna Award by the President of India Pranab Mukherjee on Monday. The ceremony also saw Sylvanus Dung Dung being presented with the Major Dhyan Chand Lifetime Achievement award. Prime Minister Narendra Modi on Sunday praised hockey legend Dhyan Chand as an “example of true sportsman spirit and patriotism”. In his "Mann Ki Baat" address, the PM also lauded the Indian athletes for the efforts at the Olympics said that the country's "daughters" made the nation proud. 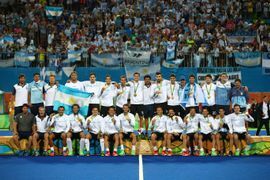 Gonzalo Peillat scored a hat-trick as Argentina thrashed reigning champions Germany 5-2 to reach their first-ever Olympic final. Los Leones will now meet fellow final debutants Belgium, who defeated the Netherlands 3-1 in second semi-final. 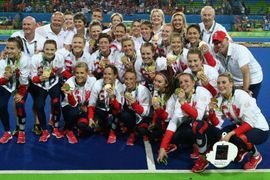 The Men’s medal matches will be played on August 18. 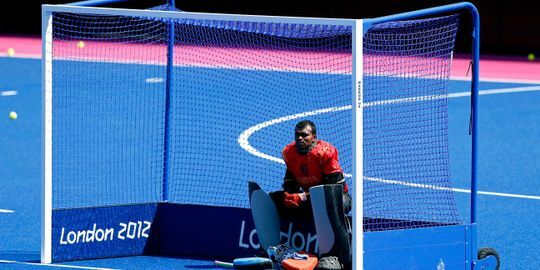 Indian men’s hockey team’s hopes of securing a medal in hockey for the first time since 1980, ended on Sunday after Belgium defeated them 3-1 in the quarterfinals. Akashdeep Singh put India in front in the first quarter, but three second-half goals ended India’s run at the Rio Games. Despite taking an early lead in their quarter-final match against Belgium, India crumbled to a 1-3 defeat as they fell apart once Belgium equalized in the second half. Disappointed with the performance, skipper PR Sreejesh blamed the team’s lack of unity after Belgium's goal for their exit.